Trumponomics Tries to Praise Trump, But Instead Exposes His CorruptionLawrence Kudlow, Stephen Moore, and Arthur Laffer lack the self-awareness to realize how bad their book makes Trump look. Trump Wants to Give the Wealthy Another Tax Cut, With No Vote in CongressCongress can’t pass another tax cut for the rich, but Trump doesn’t care. 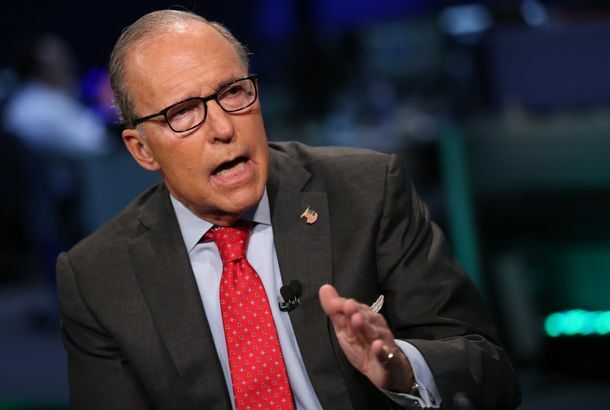 Trump’s Always-Wrong Economist Lawrence Kudlow Wrongly Says Deficit Is FallingLawrence Kudlow says “classic supply-side economics” is bringing down the deficit, while it is, in fact, going up. Trump: I’ve Got a Fever, and the Only Prescription Is More Tax CutProblem: The tax cuts didn’t help Republicans win the special election. Solution: Cut taxes again. Trump’s New Economic Adviser Lawrence Kudlow Has Been Wrong About EverythingThe GOP remains firmly committed to kookonomics. ‘The Wealthy Would Never Steal’ — A Credo for Trump’s PartyLawrence Kudlow explains why conservatives are so happy to embrace kleptocracy. Donald Trump Turns to Always-Wrong Pseudo-Economist Lawrence KudlowWhatever the question is, the answer will be lower taxes for the rich. Bush Tax Cuts Worked Brilliantly, Argues Republican Economist Lawrence KudlowNow he’s advising Scott Walker on how to repeat this great success. 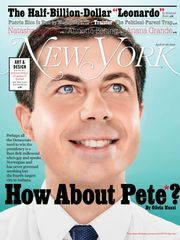 Scott Walker Embraced by Voodoo EconomistsHere’s a new idea for Republicans: What about cutting taxes for rich people?